Talib Karim received his Bachelors degree in Systems Engineering and Masters in Economics from the University of Arizona, Tucson, USA. As a graduate student, he taught introductory economics courses at the University to freshman and sophomore students. On his return to Pakistan in 1986, he joined a development finance institution and worked there for number of years in various capacities in departments of Business Promotion & Marketing, Research Planning & Publicity, Merchant Banking, Administration & Personnel and Coordination, Planning & Research Division. He was Vice President & Departmental Head of Corporate Communications Department & Regional Head, Southern Region when he decided to leave the organization to devote full time towards the establishment of a business school in Karachi. In 1994, he was responsible for preparation and implementation of feasibility report on “Setting up of a Business College in Karachi”. Based on this report, The College of Business Management (CBM) was established in 1995. The Institute of Business Management (IoBM) with CBM as its constituent college was awarded charter in 1998 by the Government of Sindh. Two years later College of Computer Science & Information Systems (CCSIS) was added as a second constituent college of the Institute followed by College of Economics and Social Development (CESD). The Institute is offering BBA, BS (Joint Honors), BS in Industrial Engineering & Management, MBA, BCS, MCS, MBA in Industrial Management and MBA in Health Management degree programs with current registration of over 3500 students. One of the most challenging aspect of his task was to introduce curriculum comprising of global contents with local case studies. It is considered as a top category Business School of Pakistan both by Higher Education Commission and the Government of Sindh. In the year 2000, Employers Federation of Pakistan awarded a shield to CBM for its outstanding performance. The Institute has graduated over 2000 students in various fields but mostly in business management. The graduates are working in various national and multinational companies in managerial positions in Pakistan and abroad. Talib Syed Karim is currently the Rector and Executive Director of Management Excellence Centre (MEC). MEC caters to the needs of the corporate sector by offering executive training programs. Through this Centre world class trainers are also invited to impart global training to executives. The Centre is also responsible to undertake consultancies and case studies for various organizations. 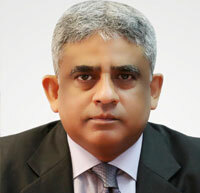 Talib Karim represents the Institute as member of International Association of Universities, Paris, Asian Media Information and Communication Centre, Singapore, Association of Universities of Asia & Pacific, Thailand, Association of Commonwealth Universities, Employers Federation of Pakistan, Management Association of Pakistan (Management Committee), Marketing Association of Pakistan (Vice President), Standing Committee on Education, FPCCI. He has also represented the Institute in various international forums and conferences all around the globe. In October 2010, he attended “The Oxford Advanced Management and Leadership Program” at Said Business School, University of Oxford.